I guess this post should be titled 'The Things You Think You Need But Definitely Don't'. Although, if we're going down that route, that would probably include almost everything from Anthropologie! The above are currently topping my list of dream home wares - in no way sensible or affordable, but gorgeous. I'll be the first to say I am complete obsessed with Anthropologie home wares. No, they're not the cheapest on the market, but boy are they beautiful. I love the look of mismatched plates, bowls and mugs displayed on open shelves and cabinets... set against glossy white tiles with grey grouting if I'm being really specific. The ceramics here are just to die for. 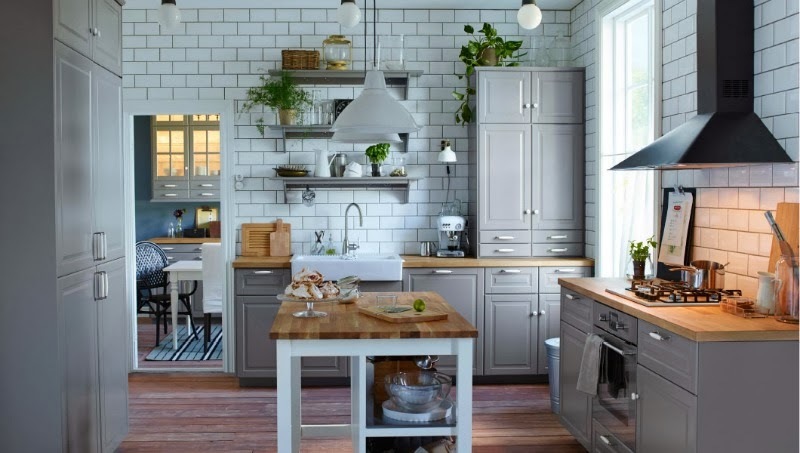 For those of you who are interested, below is my dream kitchen courtesy of Ikea. I'm a little obsessed with white tiling and grey units - this is just perfection. I'd love to incorporate grey paintwork or storage into our new home somewhere and think the kitchen is a great place for it. Check out my Pinterest board for more home inspo! I'd never heard of Anthropologie and now I feel by bank account crying! Ha I just remember what you were like when we went into the shop in Guildford! I have to say that kitchen does look pretty good! 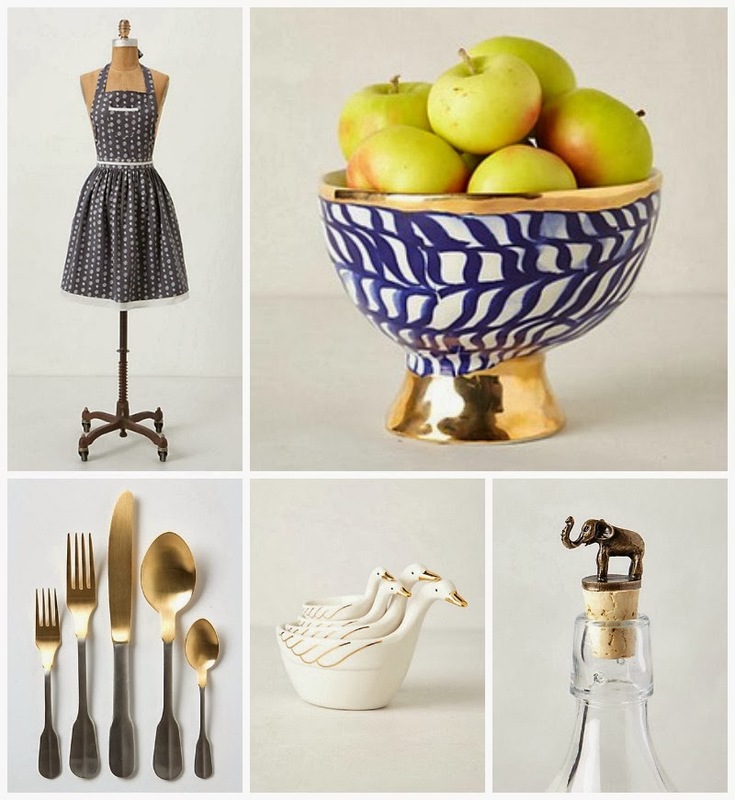 I had a look at some of the home ware on Anthropologie, sigh; a girl can only dream!